Hanoi (VNS/VNA) - Listed coal producers recorded profits during the second quarter and first half of 2017, but the second half of the year may not be so promising due to large stockpiles, adverse weather and technological and geological barriers. According to the economics and business news hub cafef.vn, seven of the eight listed firms posted higher revenues for the second quarter compared to the same period of 2016. 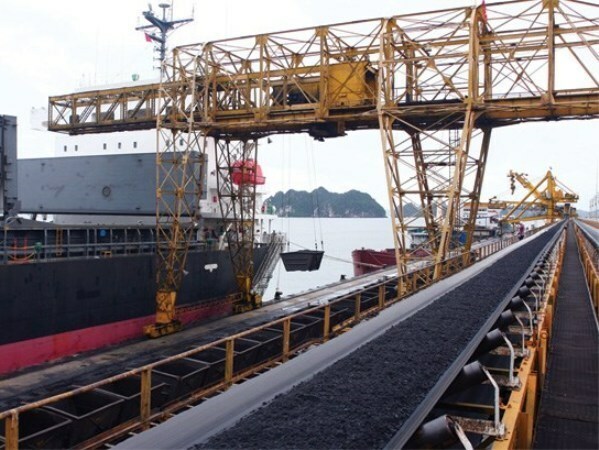 Vinacomin-Cao Son Coal JSC (TCS) recorded the highest annual growth rate of 52 percent, bringing the company’s second-quarter revenue to 1.19 trillion VND (52.9 million USD). Among the eight listed companies, only Vinacomin-Coc Sau Coal JSC (TC6) saw its revenue fall from one year ago. TCS was among the six mining companies that saw their combined revenue increase during the first six months compared to the same period last year. Among other mining companies that recorded higher first-half combined revenue are Vinacomin-Ha Tu Coal JSC (THT), Vinacomin-Deo Nai Coal JSC (TDN) and Vinacomin-Ha Lam Coal JSC (HLC). Meanwhile, TC6 reported that its first-half combined revenue was down 18 percent year on year. The other miner that also recorded lower combined revenue is Vinacomin-Mong Duong Coal JSC (MDC), whose figure decreased slightly after one year. In the second quarter, firms that also reported higher post-tax profits are MDC, TC6, Vinacomin-Vang Danh Coal JSC (TVD), HLC, THT and TDN. Of those, HLC posted the highest profit of 18 billion VND, a yearly rise of 22.3 percent. Meanwhile, MDC, TDN and TVD were able to earn profits after suffering losses in the first six months of 2016. The two other coal miners, NBC and TCS, announced lower post-tax profits in the first six months compared to the same period of 2016. After the first six months, combined post-tax profits were higher for HLC, MDC, TC6, TDN and TVD. Though the earnings figures exceeded those of 2016, companies are facing second half challenges. While HLC and NBC have accomplished 86 percent and 81 percent of their targeted pre-tax profits for 2017, the other six companies have a long way to go to achieve their targets. On June 6, the eight listed coal firms had stockpiles worth 2.28 trillion VND, an increase of 53 percent from the beginning of the year while their total debt (payables) was 11.74 trillion VND, accounting for 85 percent of their total capital. The coal mining sector is facing obstacles, such as having to drill deeper to exploit coal in the rainy third quarter of the year. Local mining companies also have trouble recruiting and keeping skilled employees. According to Ta Van Ben, deputy director of Vinacomin-Mong Duong Coal JSC, the company needs to hire an additional 150 miners.